I've been a runner for years, but needed to take my marathon running to the next level: I wanted to get faster and stronger. Rachel was exactly what I needed. Her training plan pushed me to reach speeds I was never able to hit before or even considered were possible for me. Rachel knew exactly what paces I needed to run week over week in my speed workouts and long runs to keep me on track. Her positive attitude pushed me through the tougher parts of marathon training when I felt like quitting, or if I wasn't sure if I could reach certain paces. Her own background of being a badass runner was motivating and inspired me to keep going. I knew throughout every workout and long run she understood exactly what I was going through, and her upbeat energy helped me push through. She paired me up with other ladies who were also in training for weekly workouts, which helped me meet new people and strive toward a goal with a group - which was awesome. I will keep going back to Rachel every marathon I run - she knows what she's doing!! I approached Rachel with big aspirations that frankly, I didn't think I'd be able to achieve. I wanted to qualify for the Boston Marathon, but I'd run 5 marathons in the past, and my fastest time was a 3:54, nowhere near the 3:35 that I needed to BQ. Rachel was confident with some tough training I could shave off the nearly 20 mins from my past PR and qualify. (Like I said, I was skeptical). She set me up with weekly plans that included a long run, speed work, and conditioning days. Shortly after starting to train I got a hip and knee injury, and began seeing a PT that Rachel recommended. Rachel customized my training to help me recover, and definitely made sure I didn't give up. Rachel checked in frequently and offered so much encouragement. All along I felt motivated and supported. One of my favorite parts of training was meeting at the track for morning workouts and speed work. As the Chicago Marathon approached, I was still skeptical (especially with the injuries during training) that I'd be able to BQ. Rachel met with me and put together a personalized plan for the day of the race. We talked through my anxieties, and what to do if I couldn't hit my times on certain miles. In the end, I ended up running a 3:32 (and my friend ran a 3:29!) and got that BQ! I never could've done it without Rachel's coaching, and I cannot say enough about what a difference she made in training and on race day. If you're considering getting a coach, don't hesitate! Rachel will change your mind about what you're capable of. 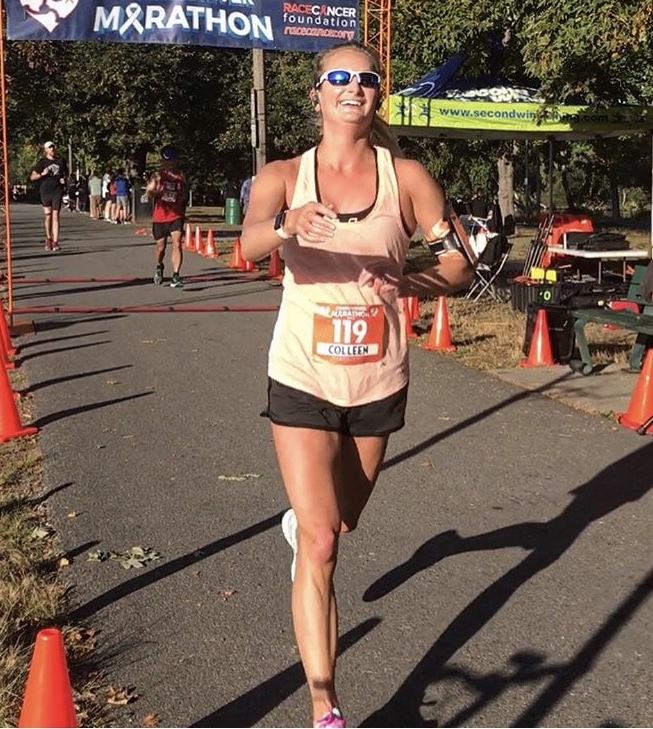 Rachel's training program is individualized to such a degree that it works for any runner interested in improving speed, health, fitness and quality of life, Regardless of age or skill level. I am a 67 year old retiree living on Cape Cod. I've been running for some 30 years without any professional advice or training. Since signing up for The Finish Stronger program, my interest in and commitment to running has increased dramatically. Having an individualized plan and regular access to a professional coach makes all the difference. After years of running without guidance or a plan, I have found a joy in my running and training that I never new existed. It's never too late to improve your speed, your commitment to running and fitness or your quality of life. Joining Rachel and her team at Finisher Stronger is a good start to accomplishing all that and more. You won't be disappointed.